This flavor packed rub starts off with onion and garlic and finishes with some pepper. Leave your pork overnight with this blend, and it won’t take much to satisfy your tastebuds. This rub can be a fun to play with also. It stands alone well, but add some brown sugar or some pepper, and now you have three different rubs in one! 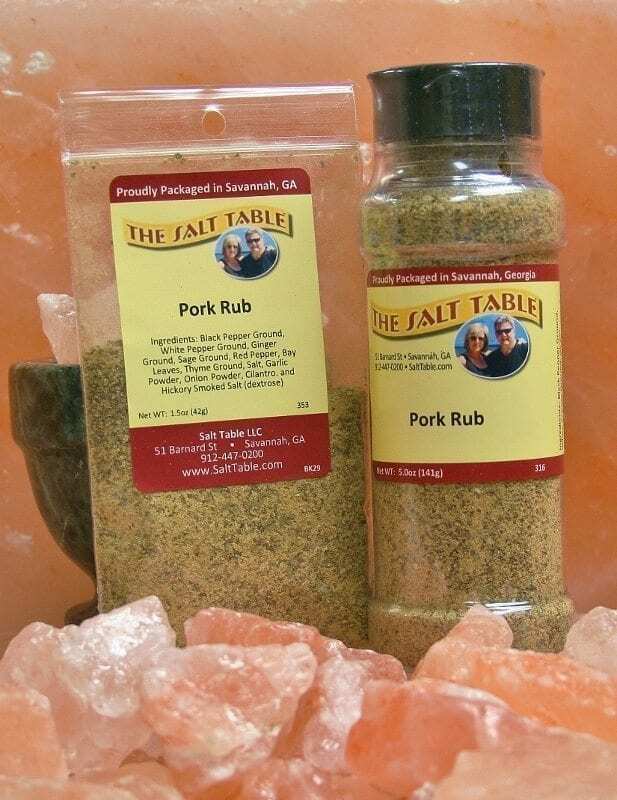 Enjoy this pork rub not only on pork, but potatoes and veggies as well. Ingredients: Ground white and black pepper, ground ginger, ground sage, red pepper, bay leaves, ground thyme, salt, garlic powder, onion powder, cilantro, and hickory smoke (on dextrose).